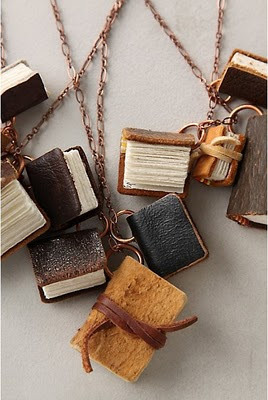 I have always loved unique and unusual books. It's so intriguing when a book is made from something that is not the norm or has something fun or unexpected about it's construction. 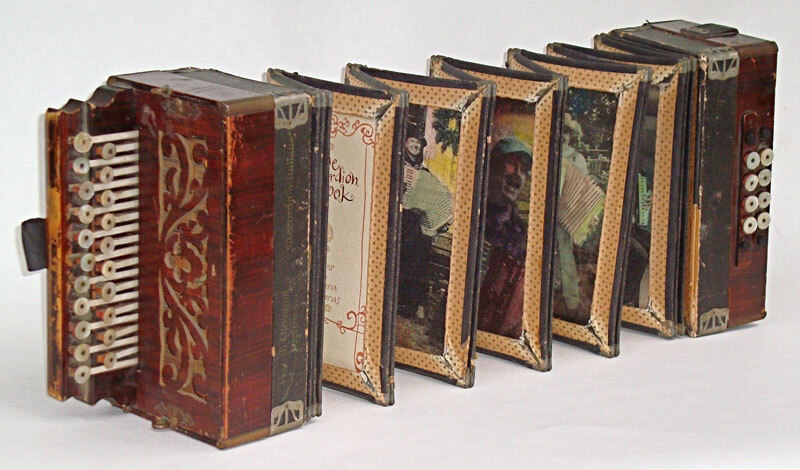 Check out a couple of amazing books by Peter and Donna Thomas who have a passion for bookmaking - A true accordion book! 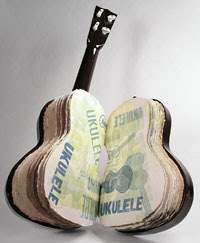 The Thomas's have made an entire series of books made out of ukuleles. Fitting since Peter is the president of his local ukulele club. 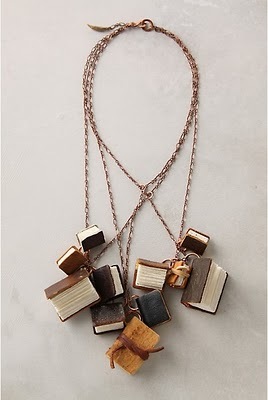 Love these necklaces made of tiny books that sold at Anthropologie. 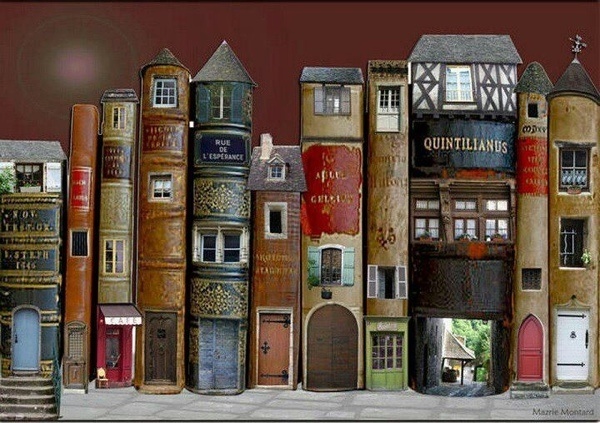 And, this series of books made to look like a village. 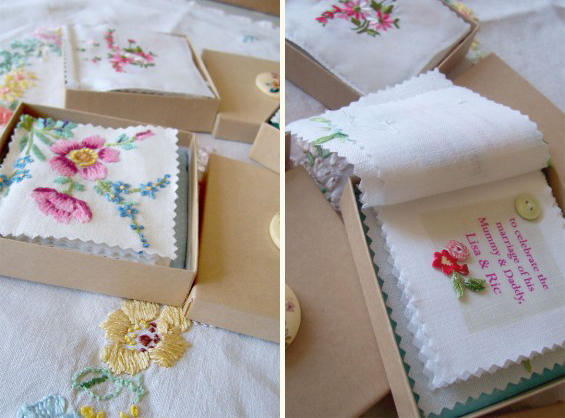 Cute invitation book made from vintage hankies and linens. Each comes in it's own little box with a hand painted button on top. 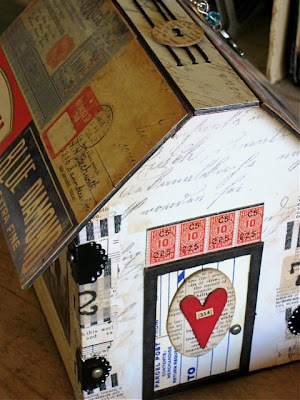 This little "house book" project is still one of my favorites. .....and the removable roof is actually a little book. We have taught this project as a class. 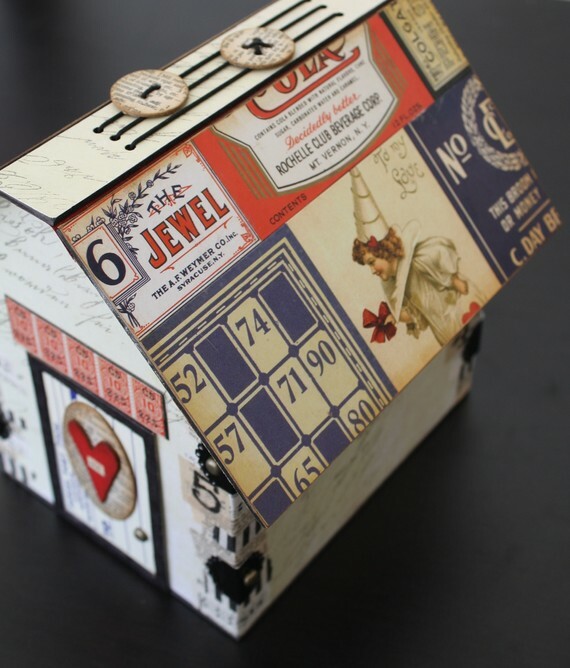 It's a fun project and I love the unexpected book inside the house. This is a project I made for "The Book Book". It is a book made from a tiny pair of Converse sneakers and was all about my three little grandsons at the time and their favorite things. 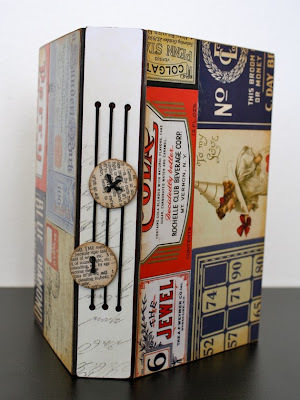 The book pages are made from a heavy watercolor paper accordion folded then cut out using the shoe as a guide. I wanted to add some color and texture to the blank accordion but still wanted it to have the look and feel of a shoe, so I used the bottom of several other sneakers to stamp the backgrounds of the accordion pages, then stitched around the edges. On the back side of the accordion pages I stamped the boys feet to document their size at the time. Cole's foot was actually larger than the accordion so his was stamped on some tissue and inserted to be a fold out. The laces were adorned with lots of charms, ribbon and other objects, all representing things about the boys. Two tiny bottles were filled with significant items, one was filled with baby powder since Carter was a baby at the time, the other with sand that I had emptied from their shoes after a trip to the park. A new "logo" was printed on canvas paper and punched out with a circle punch to cover existing label. I used fabric transfers to add appropriate words and phrases on the shoe laces. The boys are much older now and love to compare the size of their feet now to what it was then. They also love to see themselves and remember their favorite things at the time. And now, what you have been waiting for.....the winner of the Stampers Anonymous Christmas Time Stamp, Ranger Stickles Dry Glitter and Sticky Embossing Powder. Oh the fun & sparkles! So looking forward to using the sticky embossing powder - love the ideas you shared with everyone. Amazing how the glitter sticks so smoothly. Sharon Y said...Always up for a fun ride! Thanks for test driving the new products. I'm not usually a glitter fan due to the mess but this looks like it might convert me. The sticky embossing powder looks amazing. I might just start playing with glitter....and micro beads....and flock....since I have them all sitting in my stash and no idea how to adhere them without a huge mess...until now. Thanks for showing us what this sticky embossing powder can do and how to go about achieving the results you want. I know a great little home for those new Tim Holtz products and I will take very good care of them ;). Thanks for the chance. Ladies, please send us an email with you mailing address so we can get your prize out to you. Deb - you find the most amazing things. Love all of the creative things people do with the books. I totally remember your sneaker book. So stinkin' cute. What a wonderful post, full of glorious, surprising, delightful things... Love the book village!! Hi Deb. love this post. 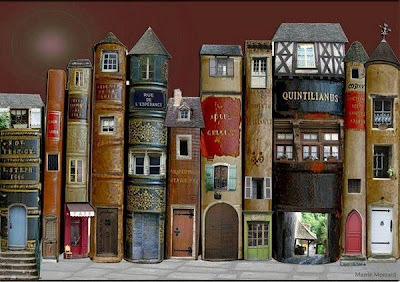 I love love love those books that look like a village!! This posting is so cool and the book with footprints is very sweet - I wish I had done something like that with my boys before they got to be men!!! Love the tiny books and the footprint album! Wow, I am one of the winners of the stamps, glitter and embossing powder! Thanks so much ladies! You would like Brian Dettmer who transforms books into incredible works of art. Love the little sneaker book you made! And of course I adore the house book - I have that one! Congrats to the winners. Enjoy your loot! Amazing books, they are all quite wonderful. Fabulous books! The house book is amazing. Nothing like getting into a good book, hee hee. Thanks for sharing. I'm SUCH a fan of books! 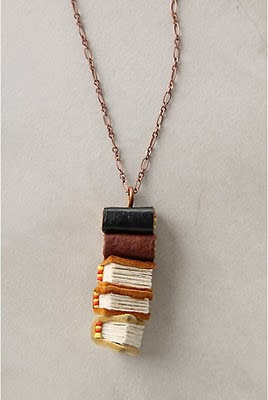 An avid book collector, and mini-book maker too. This was such a treat! TSF!! A triple-crown alternative of writing technique guarantees your success in obtaining A for effort for your essay. The technique you select can build your free essay writer online even a lot of fascinating to the reader. suppose however you will begin your essay, develop your ideas and build a bright finish to that. you'll use direct speech or statement or address the reader on to begin and finish your essay.